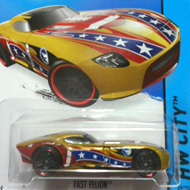 26/250 is part of the HW City series and the 2015 Treasure Hunt set. 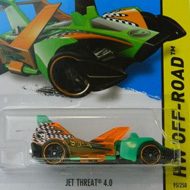 The pink car is embellished with orange, yellow, green, and blue graphics on the sides and top with a peace symbol and the Hot Wheels logo also on the sides. The hood has a yellow and green graphic with the low production symbol. There are blue tinted windows, a blue interior, and an unpainted metal Malaysia base. The Muscle Car 5-Spoke wheels are blue & white in the front and yellow & white in the back. 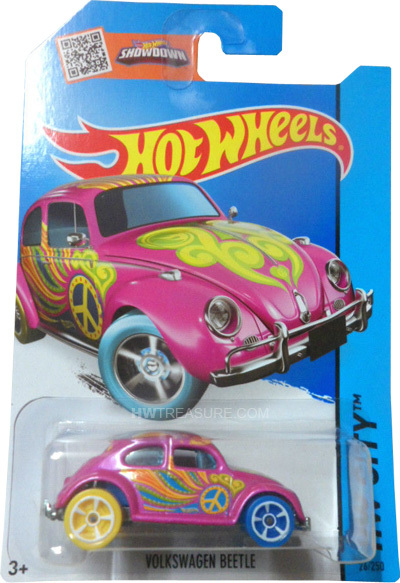 This vehicle can be found in mix “E” of 2015 Hot Wheels mainline cases. Various castings of the VW Beetle have made appearances as Treasure Hunts. This version was previously in the 1995 set.